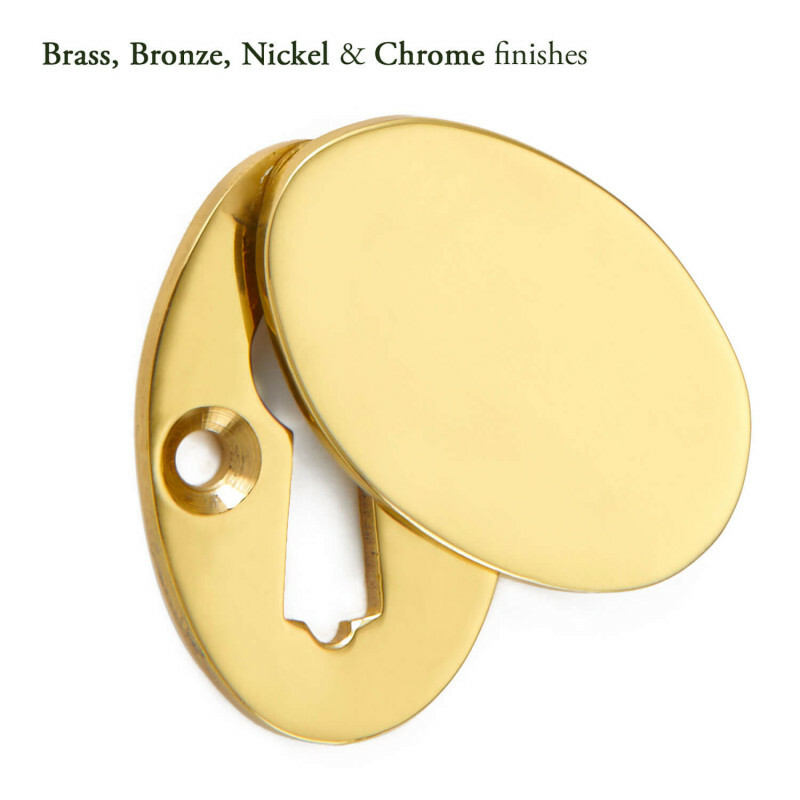 A neat and lovely Braemar Escutcheon, shown here in Polished Brass. 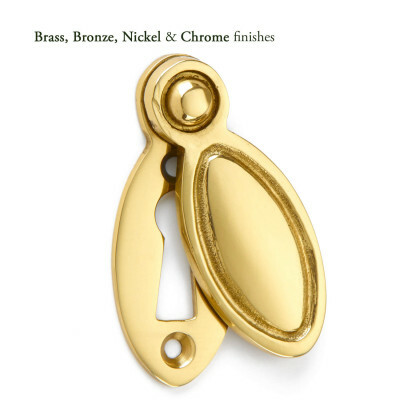 This Braemar Escutcheon is a really versatile design that will suit both period and contemporary properties. 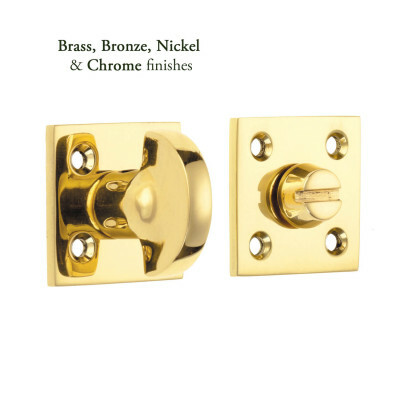 Shown here in Polished Brass it is available ina wide range of finishes. The cover is used to decoratively cover the keyhole and help keep debris and draughts out. Beautifully handcrafted in the West Midlands to create real quality furniture. 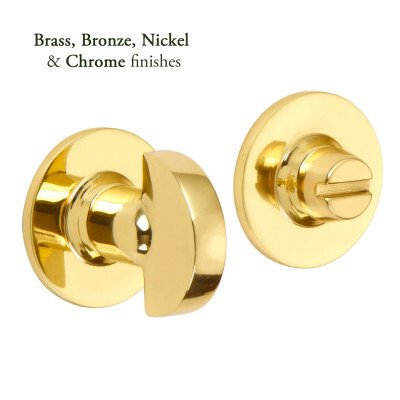 The base metal is either solid brass or real bronze and is available in a range of natural finishes, hand applied finishes or plated finishes. See images below. Supplied with matching fixings. Always make a small pilot drill hole and use a manual screw driver to avoid damaging screws and finish. 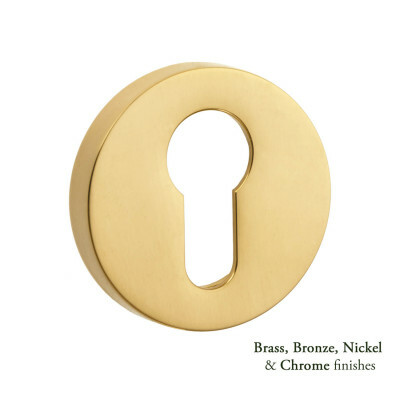 Because of it's simple design, this Braemar Escutcheon will complement many a range of door knobs and also has a matching open escutcheon for inside. Most of the finishes available are Made to Order with a lead time of approximately 4 - 6 weeks, please contact us if you would like us to check stock before you order.